Premier Estate Sales representative Nathan Taylor and buyer of the dresser, Emil Knodell, are shown in this photo. 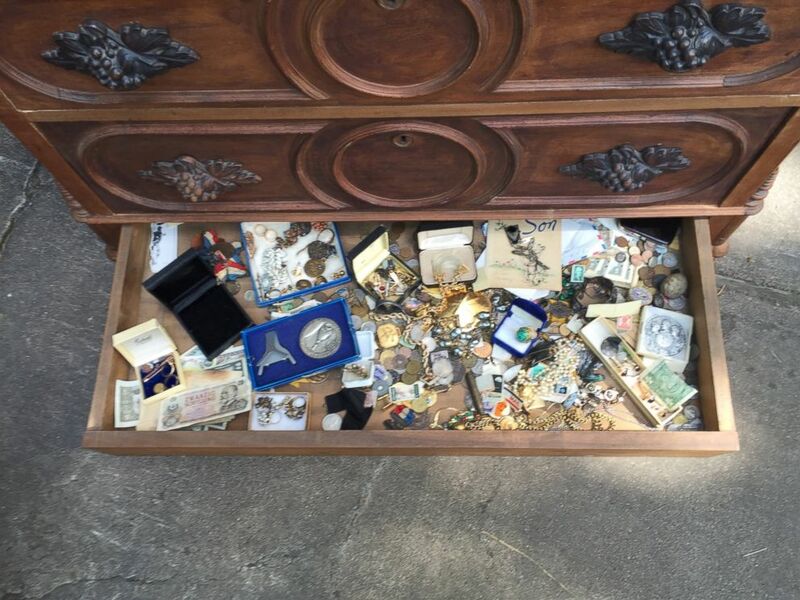 It didn't take long for Emil Knodell, of Bellville, Texas, to buy a chest for $100 that he soon discovered had a hidden drawer of treasure. 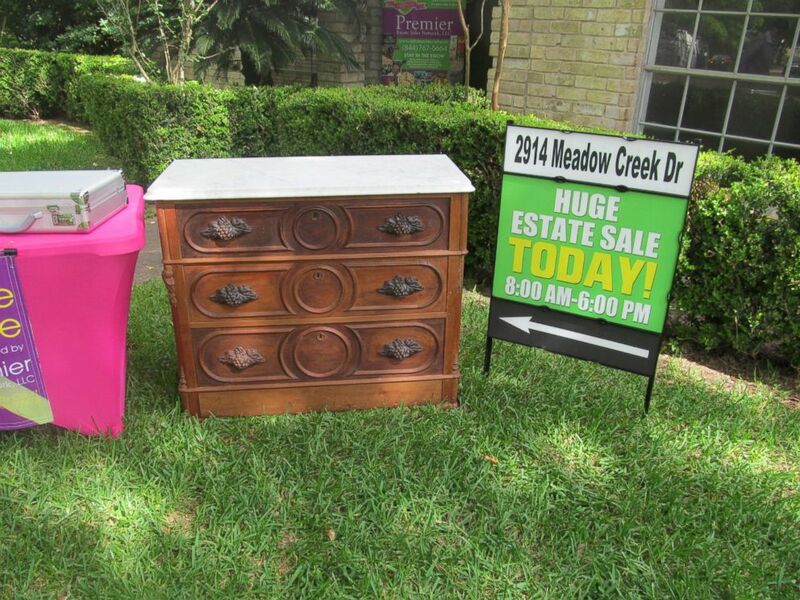 On Saturday, Knodell, a retired marketing director whose buys antiques and collectibles as a hobby, went to an estate sale of a man who had died in Missouri City, Texas. He quickly decided to buy a chest of three drawers with a marble top that had been discounted on the third day of the sale. "Because it has a nice marble top, I hope to use it in my dining room," Knodell, 67, told ABC News. But when he and a staff person from Premiere Estate Sales Network tried to load the piece of furniture into a vehicle, they heard moving metal when they tipped it on its side. "He asked for help loading it," said Jeff Allen, who works for Premiere Estate Sales Network in Sugar Land, Texas. "As soon as we laid it down, it started making all this racket on the inside. Obviously we were very intrigued with what was happening with the dresser. There were rings, diamonds, gold and all kinds of stuff. It was a real adrenaline rush. Both of us were in shock for a second." A man in Missouri City, Texas, made a surprising discovery after buying a piece of furniture at an estate sale on May 9, 2015. "When you look at the front of it, it looks like it has three obvious drawers with molding on the base, but the bottom has a secret drawer that opens up," Knodell said. Inside, he discovered currency, jewelry with emeralds and diamonds, a lock of hair, military dog tags and even Civil War memorabilia. But Knodell said he never thought about keeping the items in the piece of furniture he just bought. Allen said the dresser dates back to around 1890. "I bought the chest drawers. I didn’t buy those things. If I kept them, I would never feel right about it. There would be a cloud over the whole thing. It’s a feeling more than anything else," Knodell said. 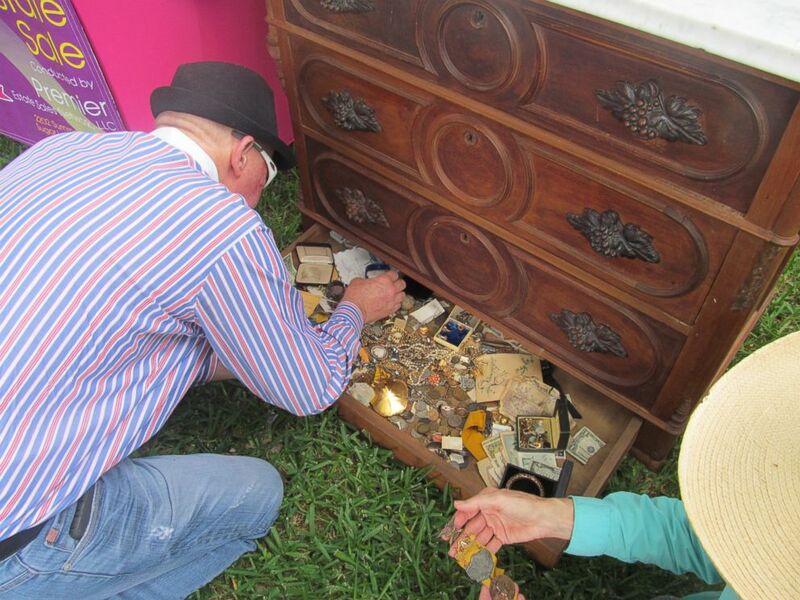 Emil Knodell purchased a piece of furniture that contained a drawer of treasures for $100 at an estate sale. "I’m an old ex-Marine and I try to do the right thing. Jeff also, the man in charge, his immediate reaction was, 'Let’s call the owner.' There was never a question of anyone keeping it; it was: 'This is fantastic. Let’s call the owner and get the stuff back to them,'" he said. Allen started to do just that and called the estate executor, who is the son of the man who had died. "He remembers that dresser in a house in Michigan when he was a little child -- in his grandfolks’ house," Allen said of the son. "And he had no idea there was a hidden compartment."